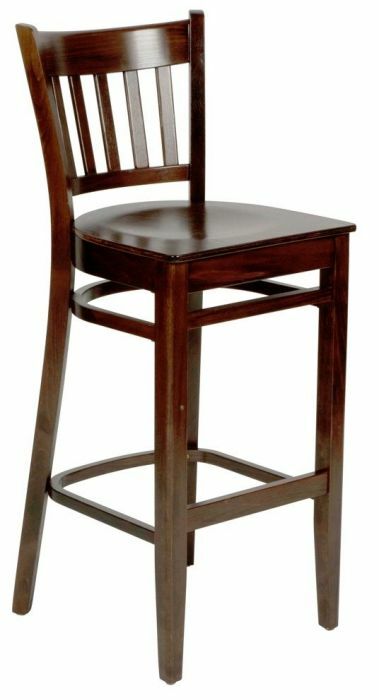 Traditional wooden bar stools with a solid beech frame in Natural, Cherry or Wenge finish. Optional seat pad in a variety of upholstery choices including fabric and leathers. Strong wooden high stool with a choice of three wood finishes. Includes an upholstered seat available in a range of fabrics. Stock product with a 3-5 working day delivery.